In a surprise move, the Palm Beach Elite sign two remote players from the Florida Grid League’s sister League the East Grid League. The East Grid League is the first expansion League under the American Grid Association‘s collection of regional GRID Leagues modeled after the pilot League, the Florida Grid League. FGL – What is your athletic background? What is your experience with GRID? (Casey) My athletic background is in basketball. I have always been a team sport kind of girl. I started CrossFit at age 17 back in 2014 and I fell in love with the barbell. I was introduced to the sport of GRID actually through Instagram. Lindsey Valenzuela has always been one of my favorite athletes and I followed her journey in both CrossFit and GRID. I started watching matches online constantly and fell in love. My first time playing was at the GRID invitational in Anaheim a few years back. Best experience I ever had. I have wanted to be a part of a GRID team ever since. Once I found GRID, it was like having the best of both worlds because I was able to move heavy weight and do it with a team. We met in person for the first time the night before the [EGL GRID 6] but talked via social media for the months leading up to competition. To say it was probably one of the most exciting events and experiences I’ve had is an understatement. (Carissa) My athletic background: I grew up training and competing gymnastics from the age of 8-17. My last three years were full of injuries, broken bones, stress fractures, and herniated discs. I did club gymnastics in college because I didn’t want to commit to the training hours involved in competing at that level since my body hurt at that point. After college I had two ankle surgeries April 2013 and 2014 left then right ankle. 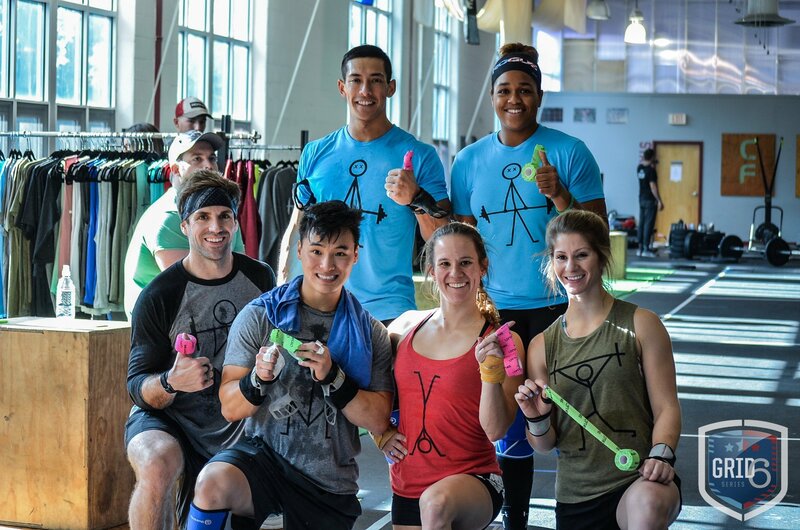 While recovering I watched ninja warrior and started training that for a year and then went to grad school after grad school I started CrossFit (Feb. 2017) I had done a Groupon month of CrossFit before leaving for school in 2015 and didn’t continue it after. Started watching the CrossFit games in 2016 with come classmates so that’s why I decided to try it again in 2017 when I finished my masters. Once I started it the gymnastics movements really came quickly to me even though I had been out of competitive gymnastics for 10 years and club/recreation gymnastics for 6 years at that point. When I was at my first CrossFit gym someone showed me a video of one of the NPGL grid competitions where they were handstand walking and doing burpees backflips and immediately I was like wow how do I do that, but the league had already been discontinued at that point. 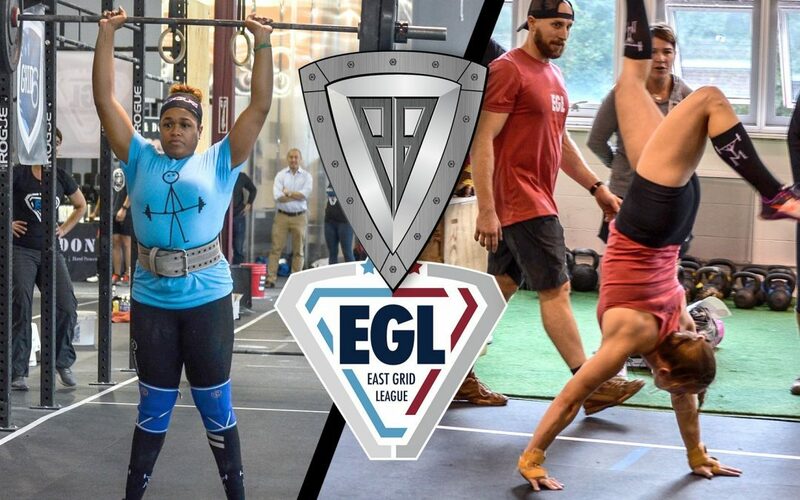 Then this past year one of the owners of CrossFit Nassau, Justin, came up to me saying “I got an email about them looking for gymnastics/boyqeigtj specalists for the Start up of an Eastern GRID league and I though of you, I’ll send you the email if interested.” And I said sure why not. Emailed the league and got placed on a team with a group of people I had never met but we instantly connected as a group. Casey was from Virginia, Zach from New York, Becca, Collin, and Brandon from Pennsylvania, and I was from New Jersey. We met in person for the first time the night before the competition but talked via social media for the months leading up to competition. To say it was probably one of the most exciting events and experiences I’ve had is an understatement. FGL – Why did you sign with the Elite? What are you most looking forward to? (Casey) I had actually spoken with a couple of different teams before choosing the Elite. First impressions are important and when I first struck up conversation with them, they were just awesome to me. They told me how much of an asset I could be to the team. Another reason is proximity. I have immediate family in the Fort Lauderdale area so traveling to Palm Beach is quick and easy. The biggest selling point though was when they told me that they had signed my GRID 6 teammate, Carissa. That was the icing on the cake. Having her will help out a lot this season, they told me that she signed and I signed immediately. Miami/Ft. Lauterdale I actually figured I would be able to work it out. I have friends from high school that live in that area and they are going to let me stay with them so my online financial obligation will be flight. I also just got accepted to University of St. Augustine for Health Sciences Doctorate of Education in Athletic Training program and I was going to be flying down to Florida for check in every couple months anyway for the next four years, so I figured why not, what a once in a lifetime opportunity. I’m getting older (I’m not old, just clarifying)I’ll be 30 in a couple months so this seemed like a great opinion for me to take while I still can. About three days after I signed I got a message from Casey saying she signed too and now I’m super excited to be back on the grid floor with her again. 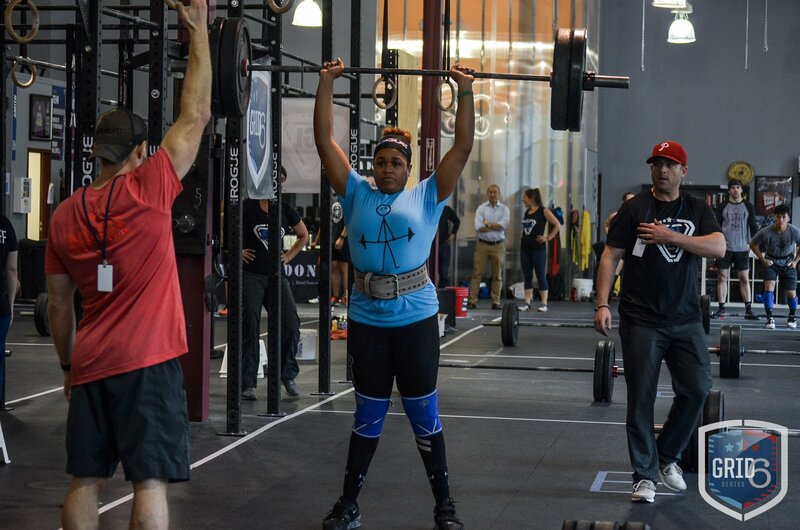 She’s a phenomenal weightlifter, with and great personality, and is amazing to watch do her thing. I signed with Elite after the contacted me because like most people I stalked their Instagram. I watched their body weight specialist Grace rep out some freestanding HSPUs and then saw her do chest to bar with a weight vest on and all I could think was how cool it would be to train and compete with her just to learn a little bit of what she knows. The General Manager of the Elite, Matt Hornaday, expands upon why he signed these two. Carissa, is our first signing from the online combine, we saw a her tests and were very impressed a bodyweight specialist with GRID experience was exactly what we were looking for, and we secured that with signing Carissa. She is passionate about the sport previously competing in the EGL, and we were fortunate enough that she was going to be in Florida already for the summer! We look forward to seeing Carissa tear it up on the GRID this summer along with her fellow EGL badass Casey Blowe. Casey, If you haven’t gotten a chance to watch this girls crush 10 Hang Clean you’re missing out. Thankfully we aren’t!!! With the departure of Gaby Moestar we had a big hole to fill and Casey was right there to fill it! Carissa and Casey know each other from the EGL and were excited about competing together in the FGL, and major bonus for us that when we spoke with Casey she was happy to traveling down to Florida for the matches to compete with us.